Two weeks ago, we were in Prague for a 5 night stay. It’s a popular city of course, with that impressive Baroque architecture, imposing castles and Gothic churches and an Old Town that everyone in the world seems eager to explore these days. As a result, it should’ve been no surprise when we ran into some difficultly finding accommodation. I’ll admit, we started looking for a room a little late, about a month before our arrival, but we still didn’t expect such a lack of availability. Hotels and guesthouses were full, the handful of Airbnb places left were extremely expensive and hostels only had beds open in their dorm rooms. We eventually did book an Airbnb apartment in a decent location that popped up out of nowhere one day. It was a little risky though as it only had a few reviews and not much information to go on. But the price was pretty good so we jumped on it. But then, a few days later, I began communicating with a company called Small Charming Hotels. 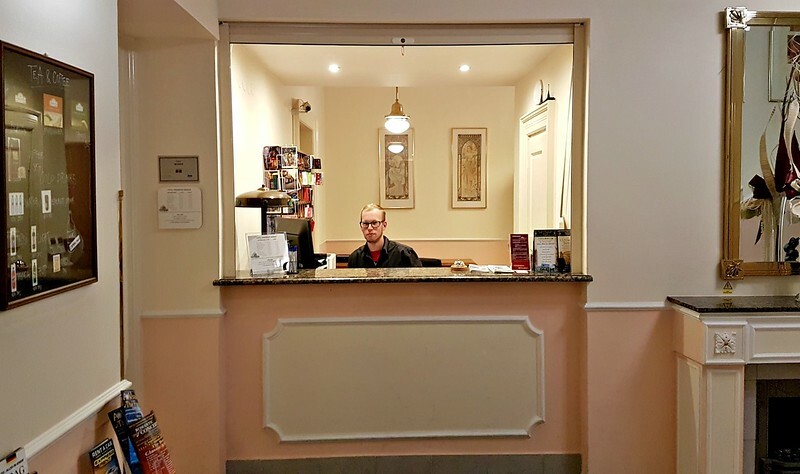 A friend of mine put me in touch with them as they were looking for a blogger to check out their small hotels in Prague. I figured, why not? I was going to be in Prague anyway and I do like finding lesser known things to do, places to eat and places to stay. And if things went well and they really did offer the kind of accommodation I’d stay at myself, perhaps we could collaborate. That’s how I ended up meeting their friendly office manager, Hedvika, inside the lobby of Hotel Anna, one of the handful of properties this company manages. Here’s how I’ll describe Hotel Anna – cute, cozy, located in a central, yet quiet, part of the city, more like a family-run guesthouse, with good-sized, simple, but comfortably furnished rooms that are ideal for budget travelers. Breakfast is included, the staff are all very helpful and full of smiles (something you don’t see everywhere in Prague!) and the prices are more than reasonable for what you get. 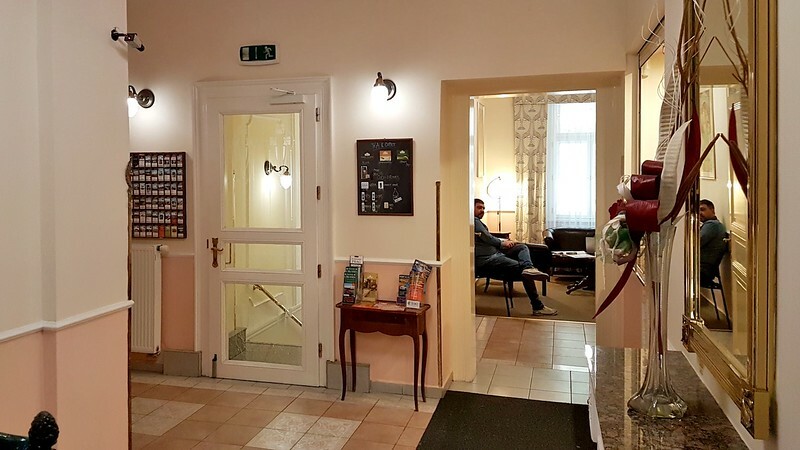 The hotel is only a 20 minute walk from the heart of the old town (known as Prague 1) which is perfect for those of us that don’t want to be among massive crowds every time we step out the door. 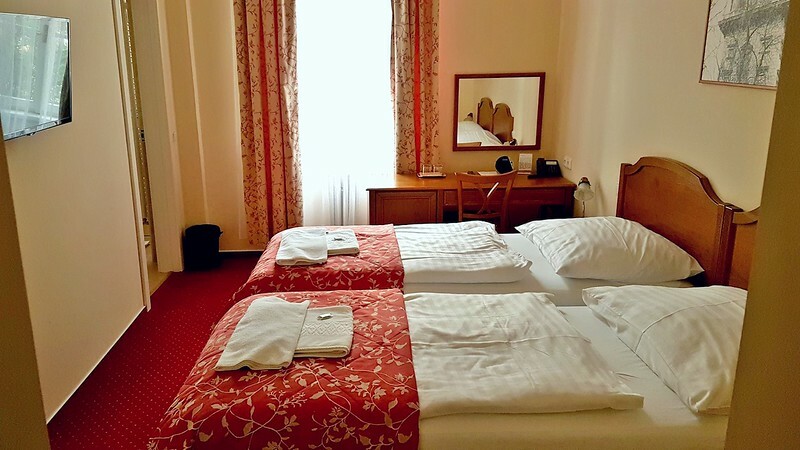 As one of the hotels in Prague 2, it’s right in the hip Vinohrady neighborhood, which is where our local friends in the city actually wanted to hang out in the evenings. Plenty of lively cafes, unique bars and great restaurants all around. Remember, this isn’t Bucharest where you can still find a great hotel room in the heart of the city for $45 USD per night or even less. This is the even more popular Prague, so you can expect to pay more. But in terms of value, for this location and style of accommodation, Hotel Anna is without a doubt very fairly priced. 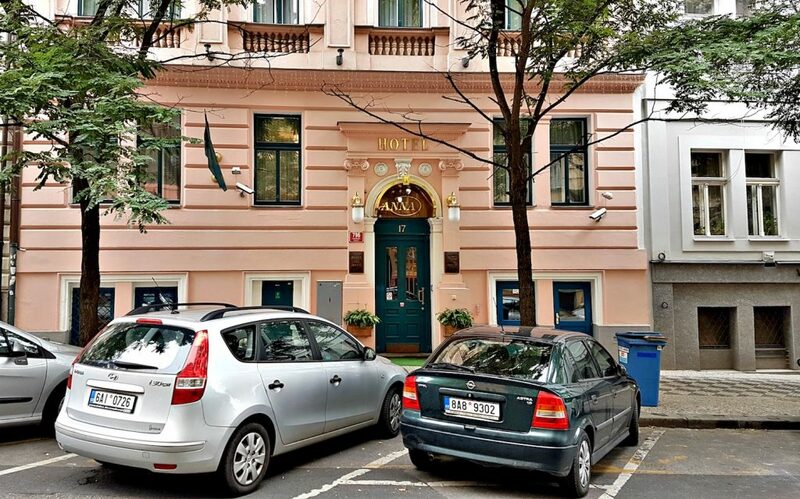 Had I known about them beforehand, and had I not been traveling to Prague during high season when it seemed there were no rooms available anywhere, I would have booked a room with them myself. The idea behind Small Charming Hotels is exactly what the name suggests – to create a collection of small, charming hotels in this city that are all run with the same laid-back, personal approach. A guesthouse feel with the comfort of an actual hotel. It’s like the trend we’re seeing with hostels these days. Upscale hostels are on the rise where you get the budget-friendly prices of a hostel with a few more hotel-like facilities. 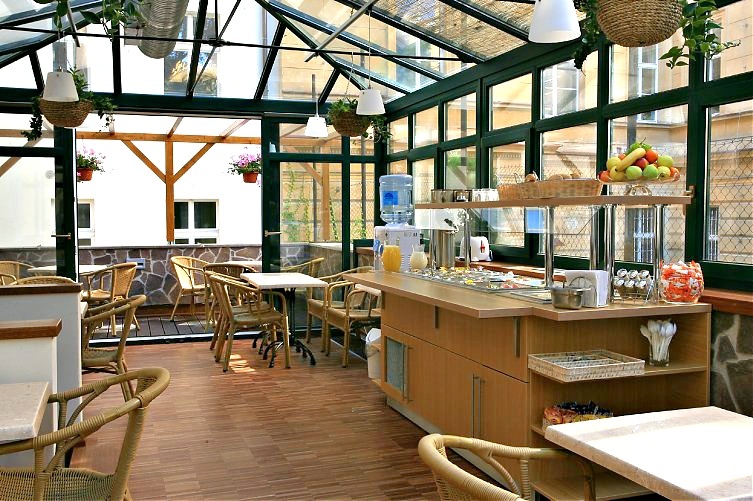 This company in Prague simply offers the key benefits of a proper hotel while adding the more personal and inexpensive characteristics of a guesthouse. It seems to be the way things are going. That’s my experience learning about Hotel Anna. 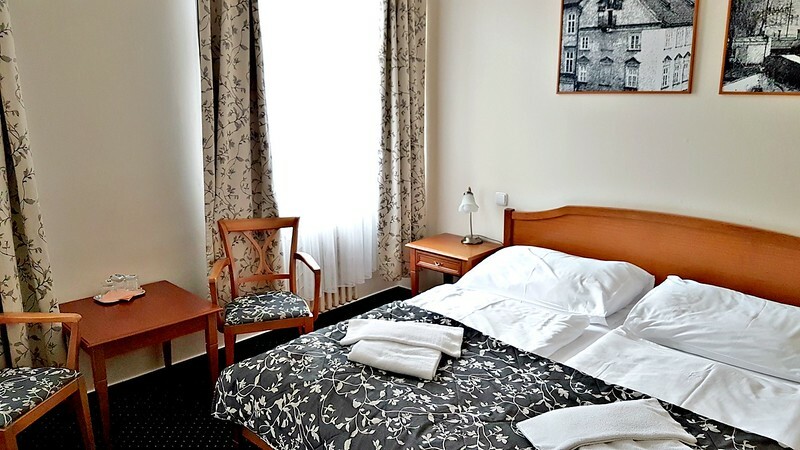 For budget travelers heading to Prague, especially if there’s two of you, their rooms are definitely worth checking out. Have you been to Prague? Any questions about Hotel Anna? I’m always in and out of Prague, as once upon a time, I used to live there! I don’t know where the reputation of it being an unfriendly city came from, as when I used to live there my Czech friends introduced me to all their friends, including the local Russian / Ukrainian mafia (I was so scared let me tell you), showed me places that were hidden in plain sight, and wouldn’t let me pay for a single thing! I insisted though as I was earning way more than they were, so I would take them to restaurants and discreetly pay the bill, instead. They even took me to meet their parents and grandparents, and it was always fun as in those days I spoke a little Czech, so it worked itself out lol! Like you said this really looks cute and cozy. Cheery on the cake is the reasonable and affordable prices. Thanks for sharing! I stayed here with my parents last year. Nice place and good prices. Staff is very friendly and helpful and the location is good. My father left his wedding ring here and they mailed it to us. Good people.